AtomRobot and PICC joined hands to insure 10,000 parallel robots, marking AtomRobot's entry of fast track mass production. Jan 23, 2019 /EqualOcean/ - On the afternoon of January 22, 2019, AtomRobot (阿童木机器人) and PICC (People's Insurance Company of China Holdings Company) held a ceremony in which the company signed the agreement to insure 10,000 parallel robots produced. This is the very first time that industrial robot companies join hands with PICC, creating a precedent for industrial robot products to be commercially insured, signifying AtomRobot officially entered the fast track of mass production. At the same time, the company promises to provide dual protection for customers who purchase AtomRobot products. 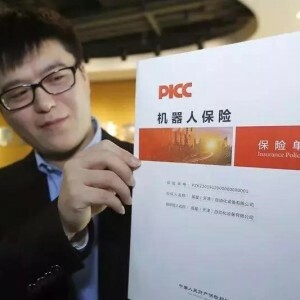 General manager of Tianjin TEDA Company MA Jie(马杰), and general manager of PICC Property Insurance Tianjin, GAO Jian (高健), signed an agreement for the construction of a laboratory for cooperation between scientific and technological innovative companies and insurance companies. The agreement stipulates that the tech companies in the Tianjin Development Zone will be used as sample companies. Insurance companies will focus on these companies' needs in risk prevention at different scales and of different stages of development. While helping with these companies' general risk prevention, the prime focuses for insurance companies will be innovative insurance products and service models in new areas, new technologies, new models and new scenarios in fields like smart manufacturing, biopharmaceutical, and big health, renewable energy, new materials, big data, and the Internet, to aid the development of tech companies. MA Jie stated that insurance on innovative projects and products in science and technology field can help enterprises to leverage costs, achieve optimal risk control, reduce the potential losses in R&D, production and sales, aid SMEs to gain better credit records, and elevate efficiency in company's financing activities. 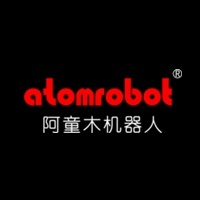 AtomRobot is a leading parallel robot manufacturer in China. The founding team members are all from Tian Jin University (天津大学), famous for parallel robot research. Since its establishment in 2013, it has served more than 300 customers, covering food, pharmaceutical, electronics, and household chemical product industries. The company has already occupied a fairly large portion of market share in China's industrial robot industry. Their products are also already sold abroad, being the very first in the industry in China to achieve global expansion. The ceremony represents the company's entering in the new stage of development, fast-tracked mass production. More on "Step by Step, AtomRobot's Journey to the Summit of China's Parallel Robot Industry"
AtomRobot is a high-end parallel robot brand, which is dedicated to the research of core technology such as parallel robot body optimization design, precision design, machine vision, error compensation and kinematic calibration.